The cheapest lottery ticket is matka. You can get a matka slip even for 10. If you are lucky you can get a return of100. Then there are the lottery tickets. At one time the lottery tickets sold by the Provedoria were very popular. They financed the social welfare schemes of the Portuguese government like old age homes. About a decade ago printed lottery tickets were abolished and the government switched to the online variety. Even in the online lottery, if the ticket you buy matches the online winner than you can get a jackpot of 1 crore. There is of course stiff competition for lottery tickets, with Sikkim offering the highest returns. Lottery tickets of other states are banned in Goa. Every now and then you get news of a poor migrant winning the bumper lottery ticket of the Dubai government which runs into a million dollars. In the case of the United States you can get a billion dollars if you win the jackpot. But nobody can match the return on a ticket for Parliament or Assembly in the Indian elections. For instance in the 2014 election nobody expected that the BJP will get more than 356 seats in the 560 member Parliament and Narendra Modi will hit the biggest jackpot in the country, the kodel of the prime minister. If you just take the Nirav Modi case where11,000 crore were stolen, the Vijai Mallya case where the robbery was to the extent of around 9,000 crore or the IL&FS which stole almost1 lakh crore from the government and considered the alleged kickbacks, you can imagine how much the chaiwala’s jackpot will be. This time Modi has taken a new avatar of chowkidar. As Rahul Gandhi pointed out it is the chowkidar (who in Goa at least gets 7,000 to8,000), who guards property worth 100 crore. So if Modi becomes the chowkidar again not only will you not get the promised15 lakhs for the black money abroad that he had promised but all the money in your bank account will be stolen and given to the Adanis and the Ambanis. This is not something we are imagining. In the Rafale deal Modi allegedly gifted Anil Ambani (who had only made paper planes) orders worth `35,000 crore for building and maintaining the best fighter aircraft in the country. When the Air Force made her strike against those allegedly behind the Pulwama killings, the question on everyone’s lips was what would have happened if the Air Force had Rafales. Maybe they could have targeted even the ISI HQ in Pakistan. At both, the National level and in Goa, the question is who will get a ticket which will make them eligible for the jackpot. Let us just cite a few examples of the size of the jackpot if the party or its leaders will win the election from past records. Lallu Prasad managed to earn thousands of crores of rupees out of fodder meant to keep alive the ‘holy’ cows. Then there is the case of Jaganath Reddy in Andhra Pradesh who is alleged to have made over 50,000 crore from illegal mining. Even the tallest of the leaders are alleged to have misused and abused the position of power or the jackpot they got when they got elected. Modi wore a suit made of gold thread for the Republic Day visit of Barack Obama to India when he was president of the US. Modi must have spent more on visits to foreign countries than any other PM in the history of the country which much have been cost over10,000 crore in airfare and hotel accommodation. When prime ministers and presidents go abroad they don’t take a couple of seats even in first or business class. They hijack an entire aircraft with a capacity of 400+ just to carry them, their peons, their body guards and sometimes a few journalists. And on the flights you get the most expensive goods like champagne and black caviar. I know because I travelled in 2006 with Manmohan Singh to Brazil and Cuba. Manmohan Singh used to travel two or three times a year. Narendra Modi travels 360 days a year and spends only five days in the country. The BJP has questioned how the income of Rahul Gandhi has increased from two crore to seven crore between 2014 – 2017. In Goa of course there are several examples of motor cycle pilots and fishermen, not to mention the children of small industrialists becoming crorepatis through politics. Ravi Naik who was a motorcycle pilot must have accumulated a fortune of at least 5,000 crore after he became CM. Churchill Alemao who was formally CM only for a month, but defector CM for two years, must have bought a hundred trawlers which he was CM. Luzinho Falerio who was the son of mundkars, bought a whole island like the Greek millionaire Aristotle Onassis who married Jacqueline Kennedy, widow of assassinated US president John F Kennedy. Manohar Parrikar who called himself Mr Clean made crores of rupees for the party and his son Abhijat is reportedly putting up a `100 crore eco-tourism project at Netravali. 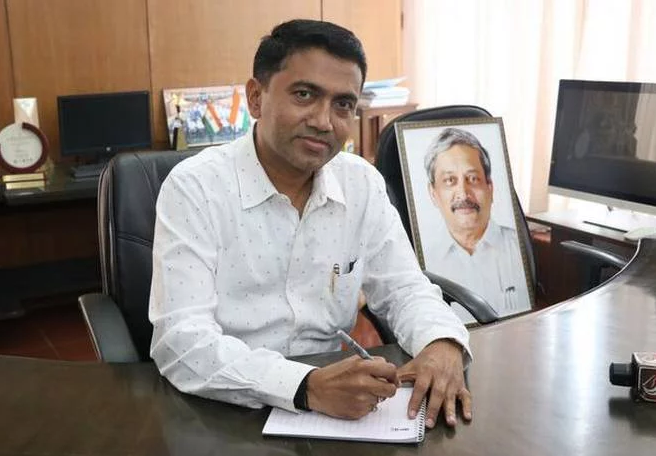 Vijai Sardesai learnt how to make money from Joquim Alemao as the vice Chairperson of Goa State Urban Development Authority (GSUDA). Now of course he has become bigger than Babush as the Minister for Town and Country Planning. Poor Babush is only Chairperson of the Taleigao PDA. Every single minister has seen in minimum increase of over 200% in his income and assets during the period he occupied the kodel. Much of the money was hidden in the name of wives, brothers, brothers-in-law, dogs and cats. Which is why the SC and the EC has made it compulsory for the candidate to declare his income tax returns along with those of all his relatives for the last five years. This will give us a idea of how much money they made and from where. Considering how much money a party political ticket can earn, no wonder all the candidates are fighting for a ticket. And this is not even a full election, but a by-election for the four Assembly constituencies of Mandrem, Shiroda, Mapusa and now Panjim. Initially, the BJP had decided to give the Mapusa seat to Sudhir Kandolkar but finally settled on Joshua, son of the late Francis D’Souza. The brief less lawyer who had been made a maharaja by his close friend Manohar Parrikar. There is a big fight going on for the Shiroda seat. While the BJP is hell bent on rewarding Subhash Shirodkar for defecting from the Congress to the BJP, Deepak Dhavalikar, the president of the MGP and brother of Sudin Dhavalikar, is determined to contest even as his brother Sudin Dhavalikar lost his post as deputy CM in just a few days. ADAMANT: Deepak Dhavalikar is adamant on standing on the MGP ticket whereas Babush does not need a party as he has the money and muscle power and can finance parties by himself. In Mandrem, Parsekar has withdrawn and Subhash Velingkar is likely to contest against the Congress defector Dayanand Sopte. As far as the Panjim seats are concerned it looks as though finally Babush will realize his dream of becoming the capital’s MLA. And unlike other MLAs who need party tickets Babush is contesting as an Independent. Babush does not need parties as he has enough money power and muscle power. 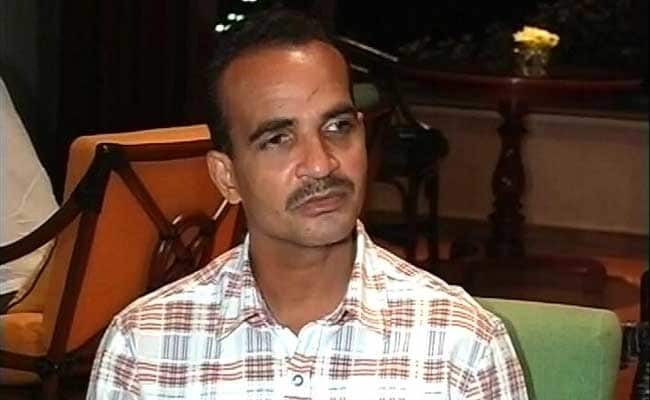 In fact, he can get any MLA elected and even now has four MLAs who owe loyalty to him, including his wife Jennifer, Tony Fernandes from Santa Cruz, Francis Silveira from St Andre and Isadore Fernandes from Canacona. So if Babush wins he will be the super king maker with five MLAs in his pocket and perhaps he will replace both Vijai and Pawaskar as chief deputy chief minister if not chief minister himself. GPCC President Girish Chodankar, who lost to Parrikar last time, also wants to contest from Panjim. As far as the Lok Sabha seats are concerned the BJP has decided to retain spineless Shripad Naik in north Goa and Narendra Sawaikar from south Goa. The Congress foolishly seems to be pressurizing Girish to contest the North Goa seats though he is from Fatorda in South Goa and is considering Pratima Coutinho for the South Goa seat if Sardinha or Valanka do not steal it. As a citizen and voter you have no choice. Ugadi is coming fast. Accept whatever gifts and cash the candidates offer as we will not see them again till the next election. Ambedkar Jayanti is coming so all of us can claim to be Dalits and have our feet washed by Narendra Modi. Then there is Good Friday when you can crucify the candidates whom you do not like and Easter Sunday where you can resurrect those whom you do like. Vote for the individual and not for the party as all parties are corrupt accept perhaps for AAP which will need a miracle to get Pradeep Padgaonkar and Elvis Gomes, who are the north and south Goa candidates, elected. If you are a Marathi manus you can vote for the Shiv Sena candidates. If you are a chadiwala you can vote for Subhash Velingkar’s candidates from the RSS. It makes no difference because even before the voting day the MGP and the BJP will fight like cats and dogs and there will be President’s Rule in Goa. In a brazen act of kidnapping at 2 am in the morning the Amit Shah-Nitin Gadkari gang ‘kidnapped’ two MGP MLAs Babu Azgaonkar and Deepak Pawaskar who merged with the BJP at 2 am in the morning. Coincidentally Speaker Michael Lobo was not only ready but waiting for them in his office as acting speaker in the Legislative Assembly to accept their merger with the BJP. Under the Election Commission rules if 2/3rd of a legislative party splits it is not considered defection. Since there are only three MLAs belonging to MGP in the legislative party, the defection of Babu Azgaocar and Pawaskar do not attract the provisions of the anti-defection act. The whole kidnap drama with the cooperation of the victims was done so secretly that the Dhavalikar brothers who control the MGP came to know about it only the next morning. The BJP has proved that it is as capable of dirty politics as any other party. Historically, as senior leaders of the BJP like Parsekar and Arlekar have pointed out, the BJP and the RSS did not believe in inducing defections. This may be true of other parts of the country but in the state of Goa Parrikar became the Chief Minister for the first time for toppling the Sardinha government. Subsequently he not only got Babush Monserrate to defect, but used Babush to induce Pandurang Madkaikar and Isadore Fernandes to resign, re-contest and win on the BJP ticket, to give the lotus the numbers it needed. The loser in the midnight surgical strike is Sudin Dhavalikar, the boss of the MGP, and also a close relative of Nitin Gadkari. It was as though Amit Shah was killing two birds with one stone. Nitin Gadkari was keen on retaining Sudin as deputy CM even though he was unable to keep his promise that his brother would not contest the Shiroda constituency. For the RSS and the BJP, discipline is the basis of their functioning. When Deepak Dhavalikar refused to withdraw from the Shiroda constituency where the BJP ticket was given to Subhash Shirodkar, who had quit the Congress to join the BJP, Amit Shah decided to smash both Nitin Gadkari and Sudin Dhavalikar in one swoop. Both Modi and Amit Shah have been unhappy with Nitin Gadkari for claiming that Modi was not the right choice for the PM. Nitin Gadkari claims the support the RSS to be projected as the PM candidate in the 2019 election. His popularity is a threat to the Modi-Shah combine. As far as Sudin Dhavalikar is concerned, while he was willing to join the BJP to become the CM with the support of Nitin, there was objection within the family. His brother, MGP chief Deepak Dhavalikar, who had been a member of the earlier Cabinet lost from Priol to Minister for Culture Govind Gaude. Power is thicker than blood and Deepak Dhavalikar was insisted that he should stand from Shiroda against Subhash. Since this would set a bad precedent Amit Shah decided that Sudin who had given the undertaking should be sacked. GF leader Vijay Sardesai is also shaken as he has realized how ruthless the BJP can be. The Curtorim Congress MLA has alleged that Isadore Fernandes has been offered `30 crore to quit the Congress and join the BJP. The sacking of Sudin and the merger of the two BJP MLAs may not help the lotus. This is because now the MGP has decided to contest both the Assembly and the Lok Sabha seats. 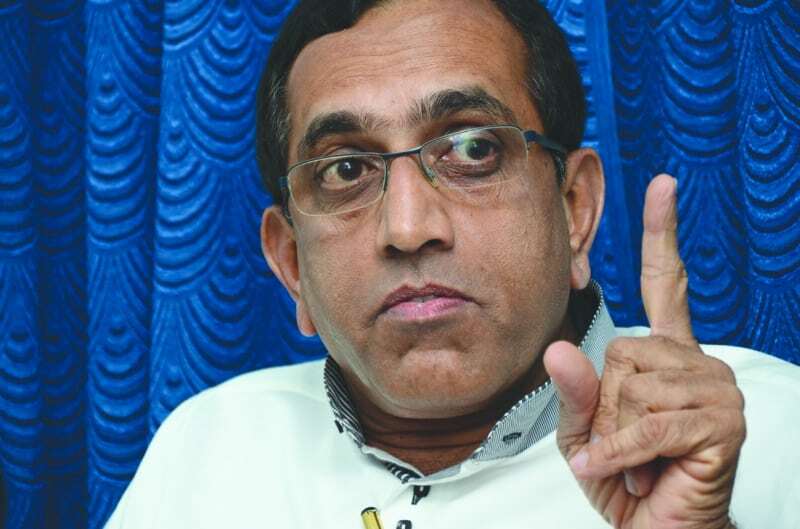 Sudin Dhavalikar has decided to contest north Goa Lok Sabha seat while South Goa will be contested by Narendra Sawaikar. Deepak Dhavalikar has a good chance of defeating Subhash Shirodkar in Shiroda. Similarly in Mapusa the MGP has a strong candidate. Though Parsekar has withdrawn, the MGP might enter into an alliance with the Congress for the Mandrem seat. It looks as though Goa;s is doomed to permanent political instability. Goa is ajeeb because unlike in other states, political strikes happen chori chori chupke chupke in the earlier hours of the morning. The swearing in of Azgaonkar and Vijai Sardesai as deputy CM took place at 2 am. The Speaker accepted the merger at 1.30 am. Babu Azagaoncar has been made the deputy CM in place of Sudin. Pawaskar had got the very profitable portfolios of PWD and river navigation. Previous post: EMGEE INDICTED IN `10 CRORE SIRIDAO SCAM!